This 230mm (approx. 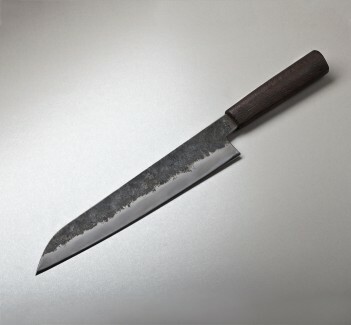 9") gyuto forged by Bryan Raquin is razor sharp with a fine, hardened edge quenched to 63-64 HRC. Bryan's house-made san mai steel makes for an incredible slicer, and in this 9" length this is a knife to take to virtually any daily task in the kitchen. 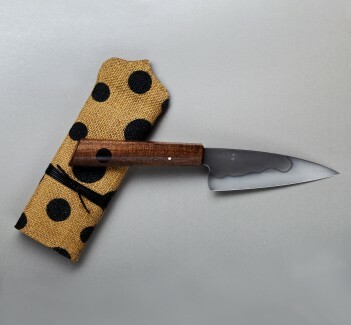 Jackets of XC10 and a core of "super clean" 145sc carbon steel for the edge, containing 1.45% carbon and virtually no other additives, is Bryan's preferred formula for high performance chef knives. 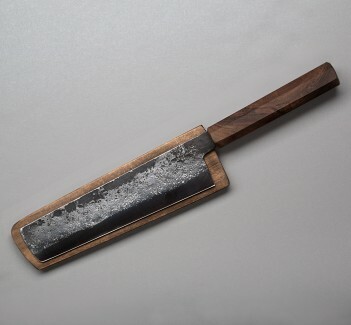 The hand-carved handle is made from locally sourced oak, and a wooden saya is included. We never tire of Bryan's work. 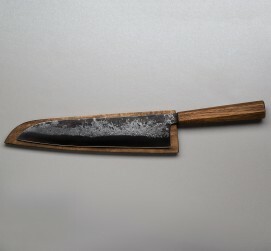 Each kitchen knife forged at his one-man shop in the Auvergne region of France is a functional work of art, designed for daily use and made to admire and pass down through generations. 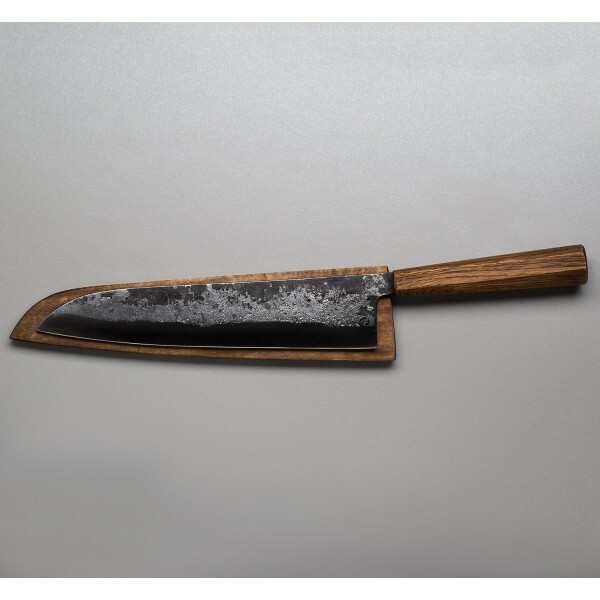 This 230mm Oak Gyuto is perfect as do-it-all, full-size blade for the professional or home kitchen.